Club Penguin Cheats by Mimo777 Club Penguin Cheats by Mimo777: Club Penguin Times #362! Club Penguin Times #362 is here! Ooooo! Ahhhhh! New prizes! Check 'em out! Props to Rookie for not blowing anything up while planing this party. Even though that would be pretty cool! Halloween stuff is all so coming soon! Can't wait! More Rookie Q & A's. Check 'em! The Fair Top 10 - On Now Until Oct. 3rd! 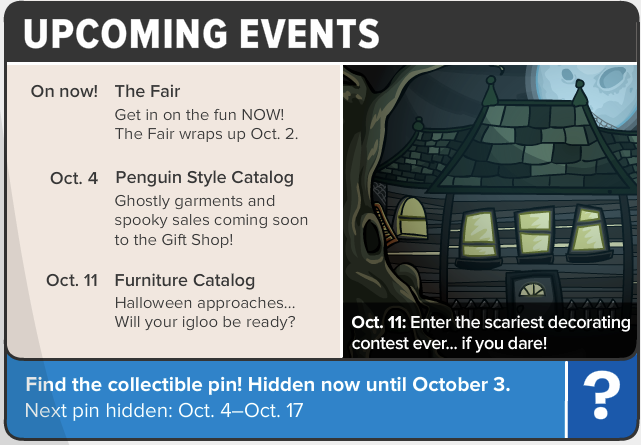 Club Penguin Sneak Peek: Halloween! Club Penguin Party Update: The Fair! Club Penguin Field Op Number 101! 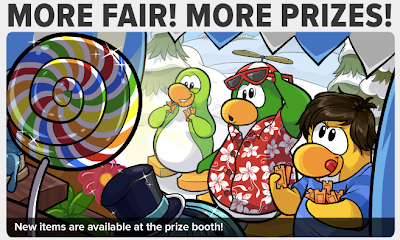 Club Penguin NEW Fair Prizes! 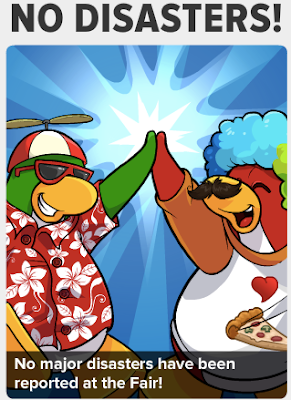 Club Penguin Featured Fashions: September 24! Lookie, Lookie, Wanna Find Rookie? Club Penguin Reviewed By You: Fair Tickets! Club Penguin Crash the Party...The Fair! Club Penguin Field Op #100! Club Penguin Pin Cheat - TRIPLE SCOOP PIN! Club Penguin Featured Igloos: September 17! 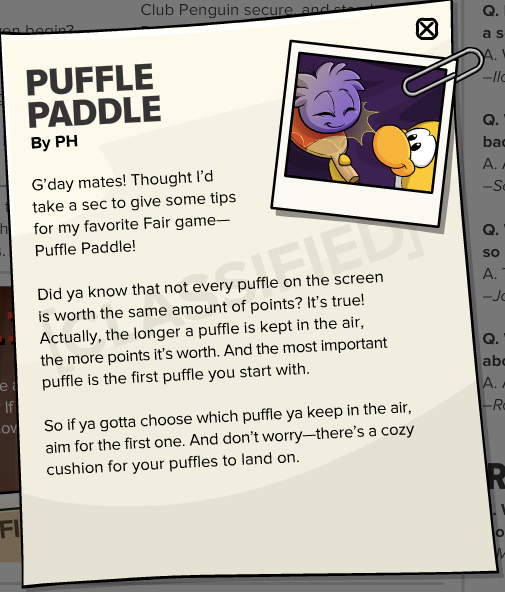 Club Penguin Sneak Peek: The Fair! Club Penguin Reviewed By You: Igloo Items! Club Penguin 99th Field Op Cheats! September Club Penguin Better Igloo! Club Penguin Featured Fashions: September 12! Club Penguin Featured Igloos: September 10! Club Penguin Field Op Number 98 Cheats! Club Penguin Pin Cheat - WINDMILL PIN! Planet Y Back to The Stage! Penguin Band - Anchors Aweigh Music Video! New Club Penguin Coin Codes!